Who is the NomNomNow team? A group of dog and cat lovers who believe that all pets deserve to live healthier, happier, and longer lives. With backgrounds in technology, veterinary care, and more, we've worked hard to provide an experience that leverages technology to provide your four-legged loved one with the best health and nutrition possible (while also making life easier for you!). 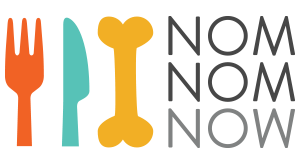 NomNomNow was founded by Nate Phillips, Zach Phillips, Alexandria Jarrell, and Wenzhe Gao. What kinds of treats are healthy for my dog and cat? Is a puppy. Which recipe should I select? Has an upset stomach on a fresh diet? I already cook for my dog. Why should I consider NomNomNow?